Thanks! So I did delete Java 7 Update 45 via the Control Panel. 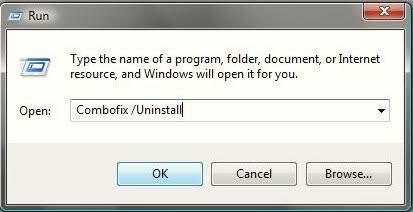 That is the only thing I saw that I could delete, so hopefully that takes care of Java on my computer. I also downloaded Microsoft Security Essentials. It ran a Quick Scan automatically after download and found nothing. Finally, I downloaded Avast (I opted for Avast Pro Antivirus). The browser check deleted a couple of files, the Startup Scan found nothing. The antivirus Quickscan found 12 threat files and several warning files where the archive was password protected. It fixed those automatically but there are still some in both categories listed. Not sure what should be done next. Well I would need to see a log to see exactly what files are being detected. It may be detecting some of the files we have already quarantined. How is your system running though? The computer seems to be running okay. I think the resolving host problem is gone, because pages load fast again. I still see the arrow icon circling when I'm not doing anything, but it may be my imagination that that's a concern. I do have a log from the avast scan that ran overnight last night if you want to see that. But overall, things are much better. Yes if you can post or attach that log that would be great! No problem. Here is the log from last night. I don't have a log from the QuickScan that was done when I first installed the program because I didn't know you had to set it to save a log in text format. Please note the results from the following scan indicated that "Some files could not be scanned". The above 12 files are all listed with High severity and as status "Threat:JS:ScriptPE-inf[Trj]". Please note that all 15 of those files not included in the log were "Moved to chest" by Avast with Result listing of "Action successful". So that's everything that Avast did since I installed it last night. Hope this provides more insight. That all looks good then. They are all quarantined already and will be removed when we uninstall our tools. The entries not able to be scanned by Avast are known problems that will be fixed in some of their upcoming updates. That's great! Everything else has been super with my laptop. Things seem to be running very smoothly. I have to thank you again for your help with this process. I would not have been able to sort this out myself, definitely. I also appreciate the recs on Avast and Microsoft Security Essentials. I feel much better running them than ZoneAlarm, personally. I have followed all of the above instructions. I ended up selecting Online Armor. I hope it is okay to run that with the Microsoft Security Essentials and the Avast Pro Antivirus. On the steps to make Internet Explorer safer, I did not see any option for "Installation of desktop items to Prompt". Therefore, I was unable to execute that one part of those instructions. I'm running IE 9, so I'm not sure if the wording might have changed? I looked for references to desktop, but couldn't find one. During that whole process, I had one episode of not being able to find a server on Firefox, but that was the only glitch like the ones I had before. Things are running slightly more slowly, but I assume that is due to the add-ons I've added per the instructions. If all that is not something I should be concerned about, then I think I can say my computer is fixed! I will need to do all the same stuff on my desktop too. Should I make a new thread request for help with that? I am not sure exactly what is wrong with the desktop other than it runs ridiculously slow despite having enough memory and all that (as far as I can tell) but I was going to follow the steps from the help file to do the virus/malware check. Thank you so much. I appreciate all your help. Edit: I will also be making a donation to the Wounded Warrior project. I printed out the form to mail in a donation, as the website requires Java . Feeling more secure without it is worth the extra step though! Edited by hw31027, 29 December 2013 - 10:43 PM. I think that you should be just fine with the firewall that you have chosen. It is very good and compatible with the antivirus. Thanks for letting me know about the step concerning Internet Explorer....they are mostly just recommendations and not absolutes by any means so nothing to be greatly concerned about at all. Firefox seems to be a bit glitchy for me as well right now. Anyway.... slowness of a system can be caused by many things with malware only being one of them. From everything I was seeing in the logs that we made, there is no malware in there. If you would like help with another system, then starting a new topic is best so that there is no confusion with the results of one system being mistaken for another. If you would like to start a new topic and have me specifically help you, be sure to put my name in the subject or if it doesn't matter, then one of us will get to you as quickly as possible. Thanks so much for the consideration of the donation to WWP. It is very kind of you!! If that is too much (I know how the holiday season is LOL) simply just pressing the Like This button on this reply is fine too. Either way, I was happy to help. No problem. Both are taken care of! I will be putting in a new request on the desktop this weekend, then! I will request your assistance specifically if you don't mind. One last question on this computer: I received a notification from Online Armor asking about running "clmp3enc.acm". A quick internet search tells me that this is related to "Power2Go" and is possibly needed from running sound. But I just wanted to check with you as one last precaution before you close out this ticket. Edited by hw31027, 30 December 2013 - 11:31 AM. No problem at all. If I happen to miss it, just send me a Private Message (PM) and remind me. The entry being found by Online Armor is nothing to worry about. Whenever a firewall sees something that it is not familiar with on that system for the first time, it will ask you to be on the safe side. You can look at the file information here if you like.